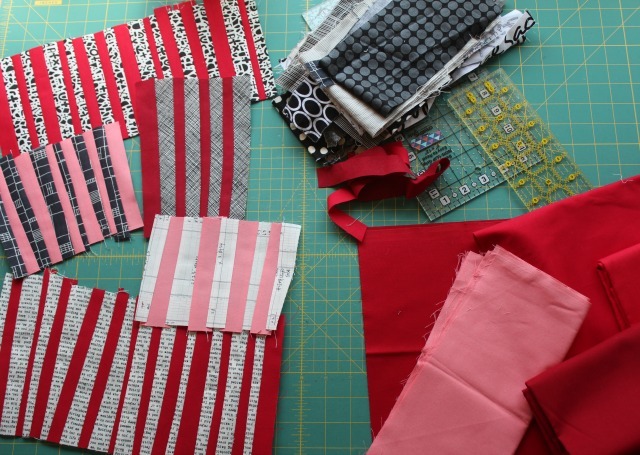 A Quilter's Table: Improv Stripes Quilt-Along! 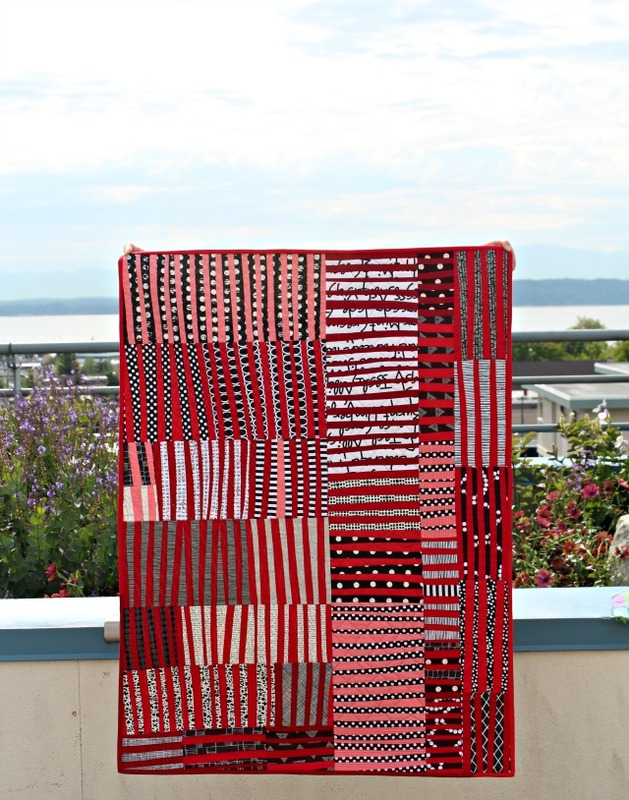 It's been a year since the Crosscut Quilt-Along, and high time to host another. Oh and yeah, I've been getting some prodding about that, so why not? So.... the Improv Stripes Quilt-Along will start on Instagram Monday, July 31! This time around there won't be daily prompts, as you'll need just a little more time to make your blocks. But it'll be quick, and definitely feel free to participate as much or as little as your schedule allows. Want to try the block technique and just make a mug rug? Great! Find yourself getting carried away and can't stop making blocks and decide you want to make something larger? Awesome. I'll probably be somewhere not-too-small-but-not-too-big, so just decide what works for you as we go along. 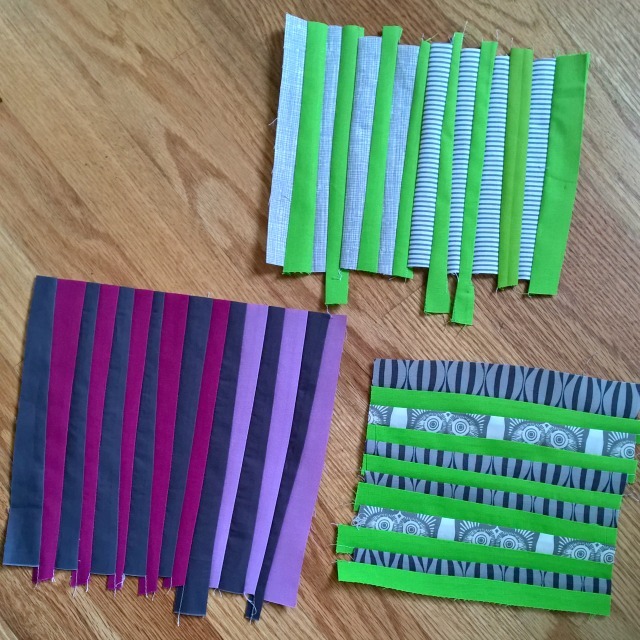 Though I first tried improv stripes in my Greenery quilt, I totally fell for them while making Thinly Sliced. So are you up for some easy improv? Try a new technique and make a quilt of your own design - whatever size fits into your life right now. Sewing in community is such fun, I hope you can join us! We'll be using Instagram hashtags #improvstripesqal and #improvstripes so you can follow along! The more projects, the better! Count me in! I'm in! I had fun with the Crosscut QAL lat summer, so looking forward to this one, too! Thanks, Debbie! Terrific! Can't wait to get started. awesome! I'll be on retreat the 31st, will we have a supply list ahead of time or is that when you'll provide it? If so, I'll start when I get home! Awesome!!! Looking forward to joining in on this improv adventure! I must remember to set my phone for IG alerts...I'd really love to give this a try! I really love the quilt, dare I jump in.......I have so much else to do.......ohhhhhh! Hi, can you figure out how to make your invitation to subscribe to the newsletter go away? It remains open, covers content, and won't close. Thanks. Sounds like fun! I need all the improv help I can get! I'm in. I look at the quilt from the Cross Cut QAL every day. It hangs in the powder room where it gets compliments all the time. This looks like fun. I might just find a way to join, albeit starting a little late. That sounds great, I think I will try to squeeze it in. Any way you will have it not just on instagram? I'm on facebook an email but not instagram. Can it be done without Instagram?? I would just love to do this. I would love to join but do not have Instagram. Looks like fun and right up my ally. No patterns or rules, just creating as you go!!!!!!! Oh yes, I think I have to join in. Just what I am feeling like doing!